A 24-hour giving day stretches dollars further for the black and gold. 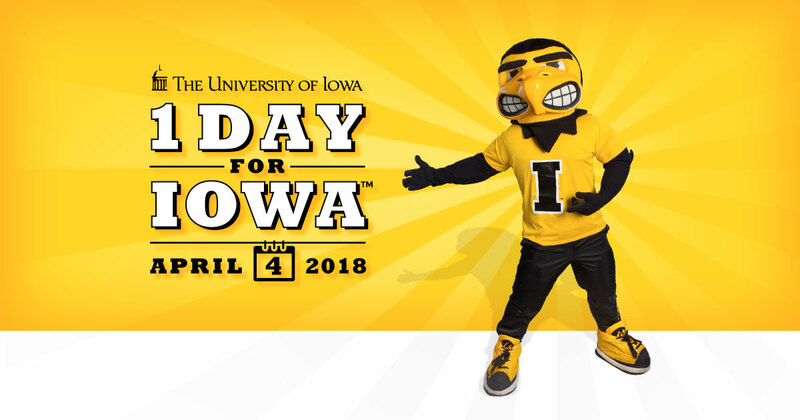 On April 4, Hawkeyes everywhere can show their support for the University of Iowa by giving back to the areas they care about most. One Day for Iowa—the UI’s 24-hour giving day—encourages alumni, parents, friends, and fans to contribute to the strength of the university and take advantage of limited-time challenges that may increase the impact of their donation. During the last One Day For Iowa in 2016, Hawkeyes from 44 states and 12 countries participated in the initiative, raising $2.1 million through 1,164 gifts in just one day. This year, the university hopes to increase participation, especially among recent graduates. John Pappajohn (52BSC), one of Iowa’s most generous supporters, will provide up to a $20,000 match for any gifts made by current students or alumni who graduated between 2007 and 2017. For more information or to donate, visit 1Day.uiowa.edu or call 800-648-6973.